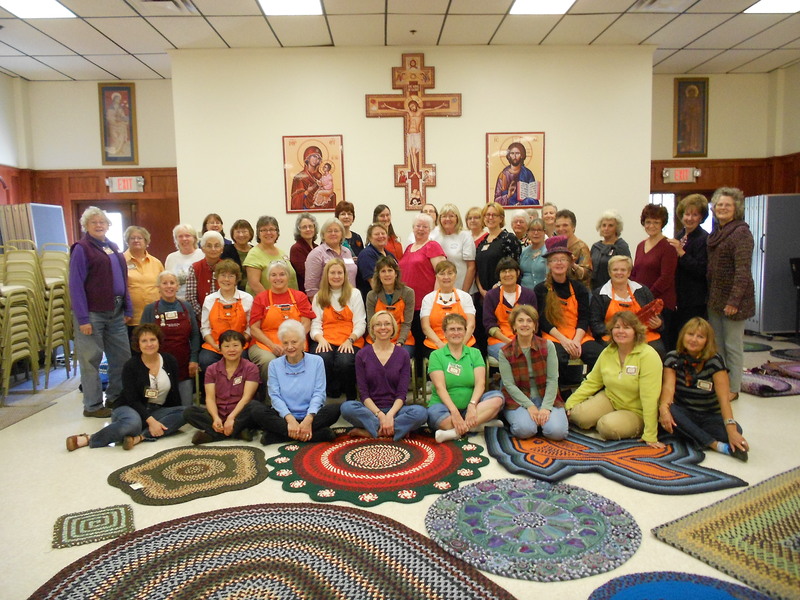 Please join us as New England Braids celebrates its 7th year of rug braiding classes with a 3 day event on October 17, 18, and 19th of 2014 at St. Basils Conference Center in Methuen, MA is the venue for this eagerly anticipated event each year. Classes run all weekend but many come just for the camaraderie of being with other rug braiders and to exchange ideas. This weekend of workshops is open to all levels, including those who have never tried rug braiding. Not your Grandmother’s braided rug anymore! Many new techniques and creative color patterns are available to the students at this weekend. Learn how to braid a handbag with a zigzag pattern in it. Experience making a braided heart mat, pinwheel rug, Christmas wreath, all butted rectangle rug, or add a braid to a hooked piece! As always, there are classes for beginners which helps those who want to learn rug braiding start the right way. This is the 7th year this event is being held to promote and preserve the art of Rug Braiding, bringing together those interested in learning to braid, as well as enhancing the knowledge of those already familiar with this historic craft. New England Braids at Methuen, MA will be held at St. Basil’s Conference Center, 30 East Street, Methuen, Massachusetts 01844, October 17, 18, and 19 of 2014, This weekend is open to all levels of rug braiding abilities, including those with no experience. A fee of $250 includes: 2 nights lodging, dorm style, 6 meals, 3 days of Rug Braiding classes (no materials included).